Not unlike my reaction to those who don’t like chocolate, anyone who doesn’t adore this sign, I just have to think you’re weird and wrong. The drawing of the face I can almost tolerate, even if it leaves me thinking, “So what?” But the utterly atrocious MB scrawl and bizarre choice of Bank Gothic have me convinced he’s more a bad man than a bald one. It's not just the scrawl, it's the way the scrawl is placed all over his face, like someone was doing the drawing, nearly got there and suddenly gah I messed up... goddammit! and scribbled all over it. Weird, man. 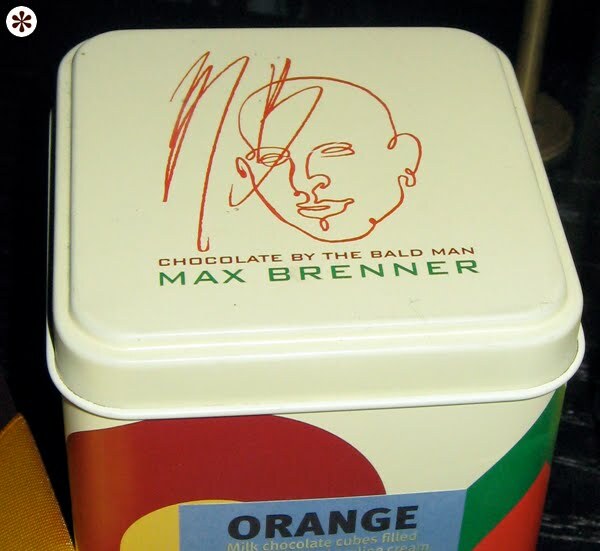 Yeah, my initial reaction to Max was "who let their toddler scribble on that can?" Another thing: with a logo like that, the container should really be shaped like Aladdin's lamp. If I saw the Hooper's sign, I would visit the store. Period. "I love to make good candy." and you may not like Max Brenner's logo, but wow! that bald man's Italian Milk Hot Chocolate is so ridiculously good. 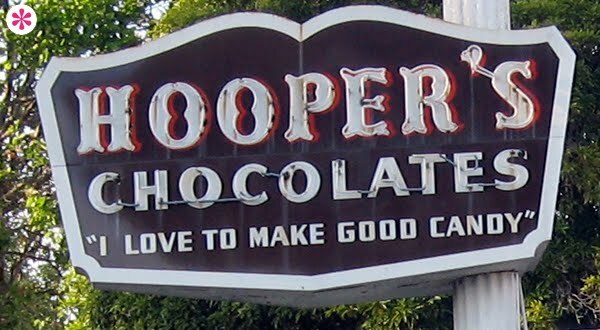 There's also something about the name Hooper, it's so right for that sign.